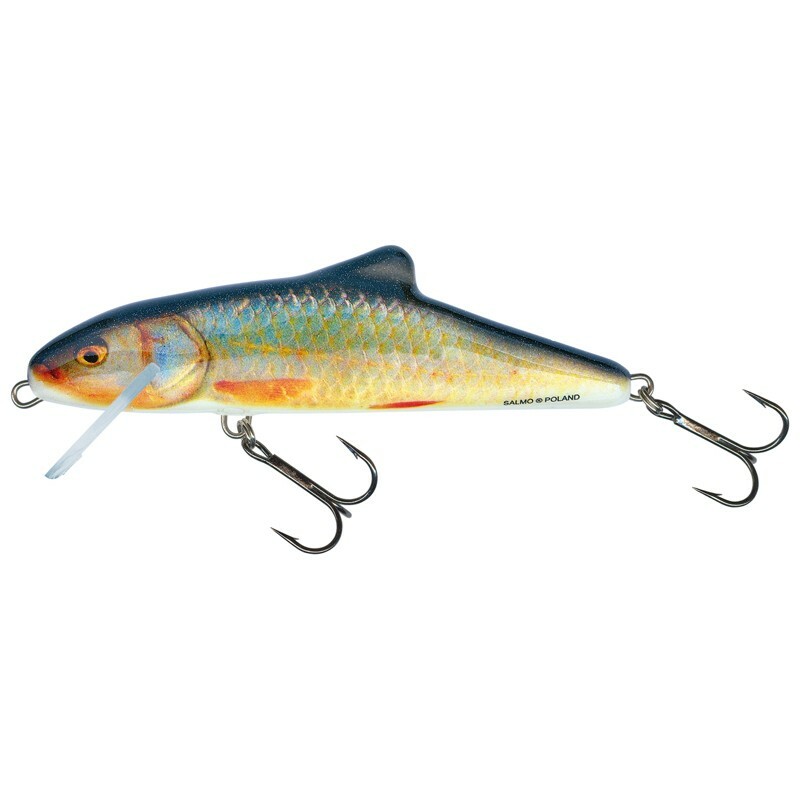 This 10cm floating lure, sold in a choice of 3 colours, is primarily a twitchbait, but it also works as a surface lure and a jerkbait thanks to its unique swimming action. Many specialists all over the world regard the Salmo Skinner as the most effective lure of its kind. The Skinner’s strong and wide swimming action lets you switch between three different techniques at any time. 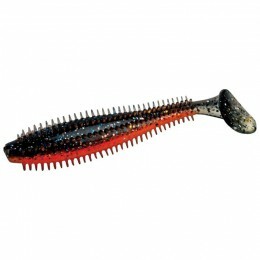 It works well on a slow retrieve, but the Skinner really comes to life when you twitch it along the way. With longer and stronger strokes with the rod, the lure will skip left and right, which is exactly what predator fish want to see. 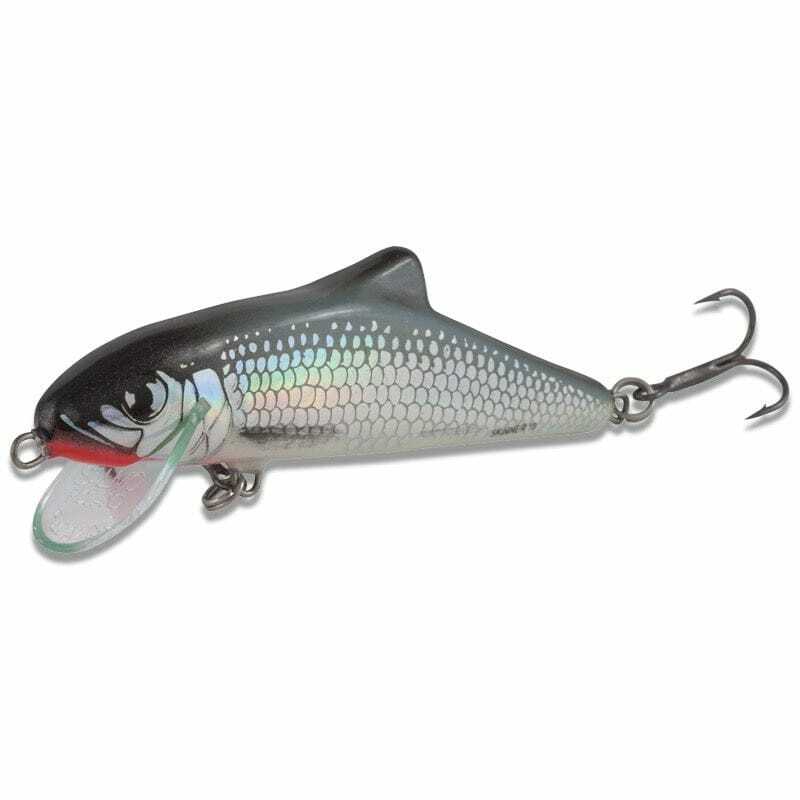 The Skinner is great at triggering your catch’s uncontrolled aggression. When trolling, this lure is most effective when you actively jerk it from time to time. 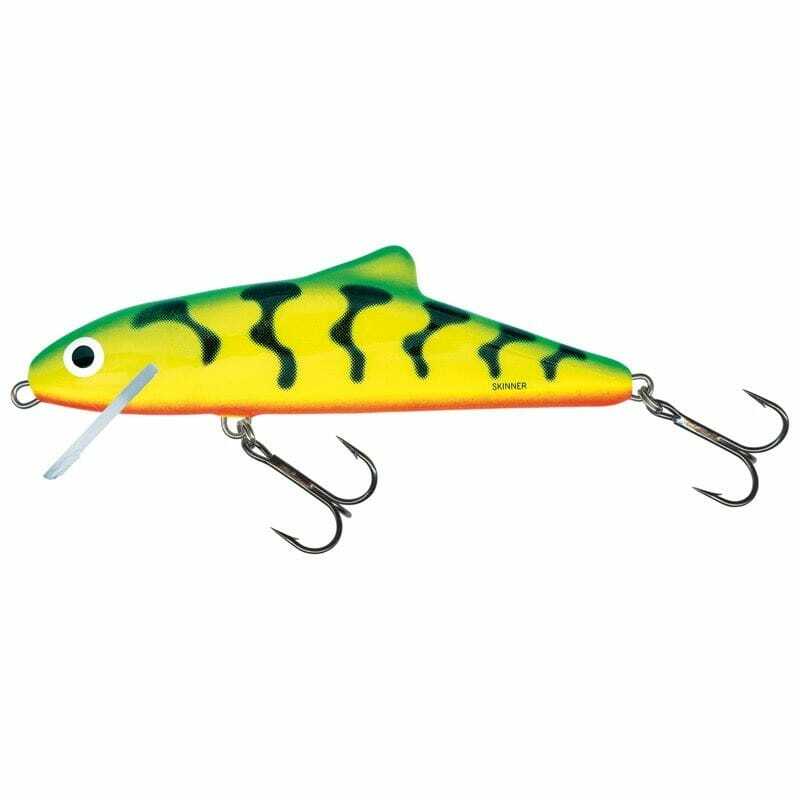 This lure’s body is made from Salmo’s proprietary High Density Space Aged Foam (HDSF) and finished in a range of colours. 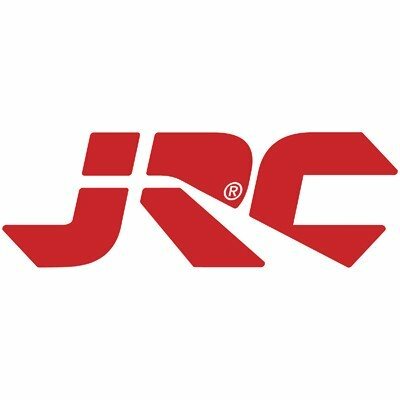 The Real Roach and Holographic Grey Shiner are more natural, using Holographic Feature Technology and True Image Technology. 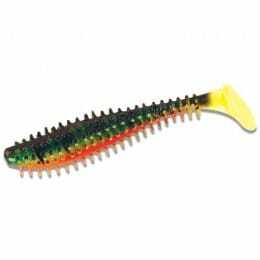 The Green Tiger model is made with a more fluorescent pattern, which is better when in dirty water or low light. Salmo uses a through-wire construction and welds it at each end. 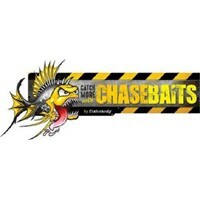 This keeps the Skinner durable, even against many violent strikes from heavy fish that would pull out hardware from lures that are screwed in without a through-wire. Salmo uses black nickel VMC hooks on the Skinner. Nickel is the preferred hook plating for many anglers because of its strength and corrosion resistance. VMC hooks are famous for their sticky sharpness, while the black finish keeps visibility low. 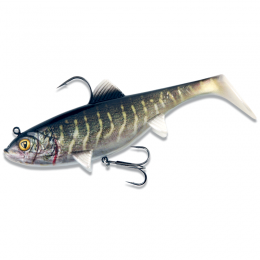 Salmo build their lures in Poland, but import the split rings from Rasco in the United States. Rasco rings are already used as replacements on a lot of popular lures, because they’re known for being a lot stronger than standard split rings. 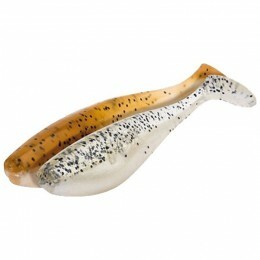 Salmo finish the lure with a polycarbonate lip, which is lighter than metal, so it doesn’t decrease the action. The 10cm Skinner is then individually hand tuned and tank tested by Salmo team members before they’re shipped to Harris Sportsmail.